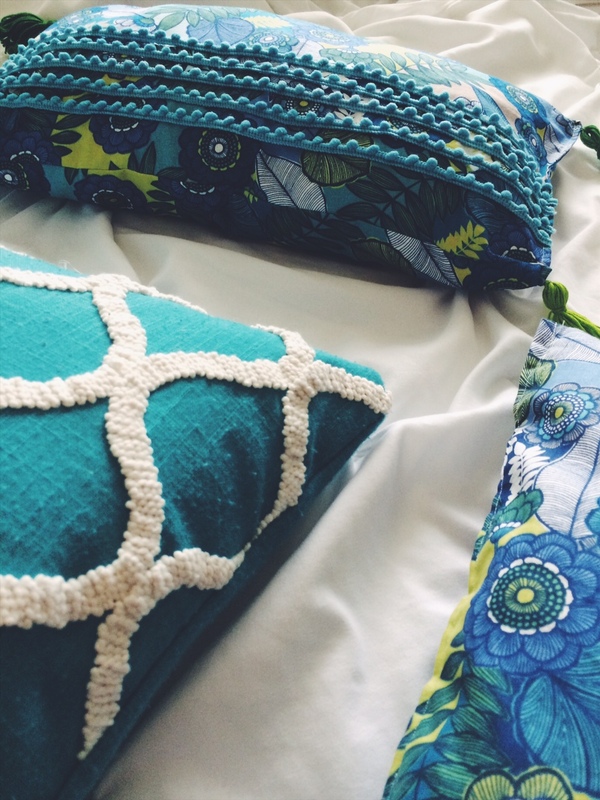 When I first started blogging, I started out making a ton of pillows. 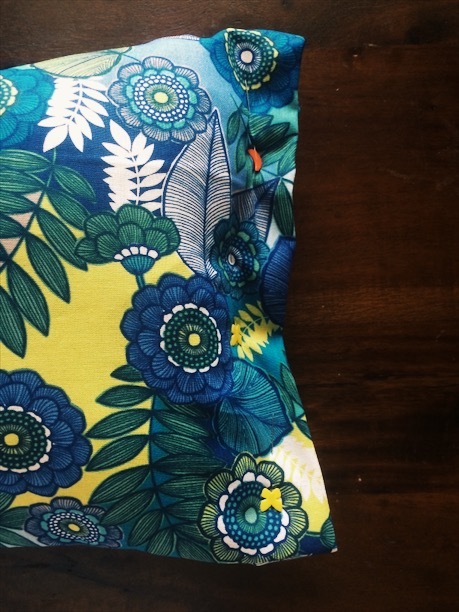 Making a DIY pillow proved to be the perfect introductory sewing project. 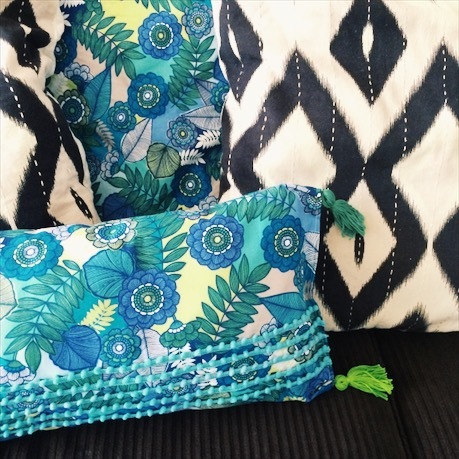 I could mix design, color, pattern, and lots of fun details. 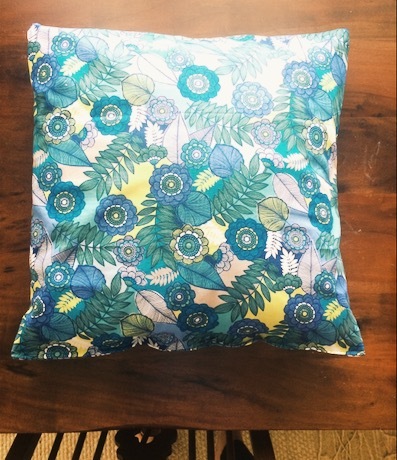 I taught myself how to sew by making about thirty diy pillows. 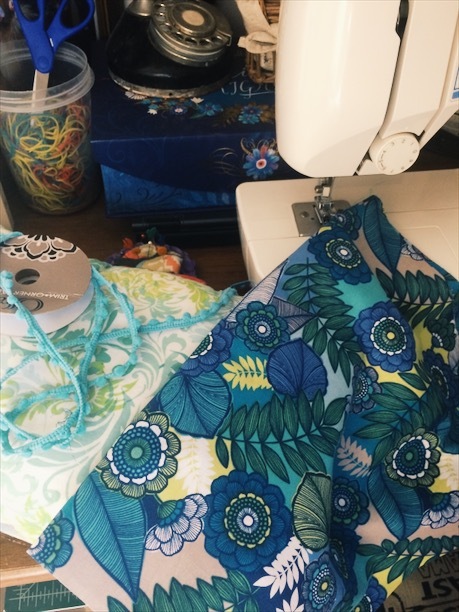 It seems funny looking back at it but it was a nice time in my life and good to always have a sewing project handy. 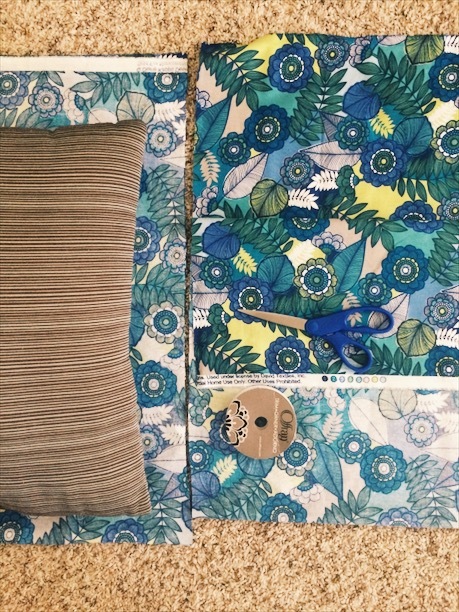 I’ve been meaning to update my couch for awhile and since my kids are now out of school for the Summer, I have finally had a moment to tackle a DIY pillow project once again. 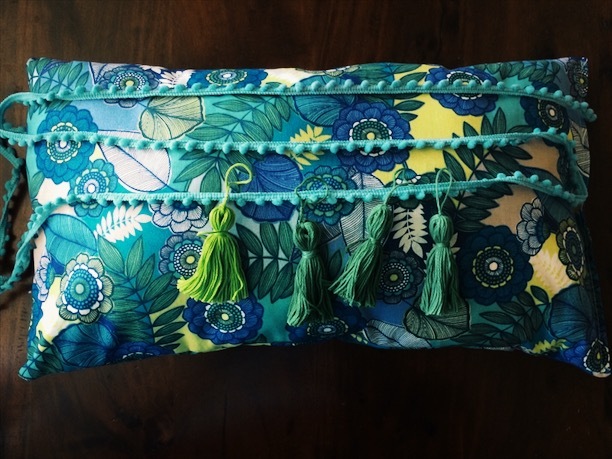 This time, I am much better at planning, sewing and detailing out my pillow projects. I even tried something a little mind-blowing, I used a hot glue gun to add some of the details! 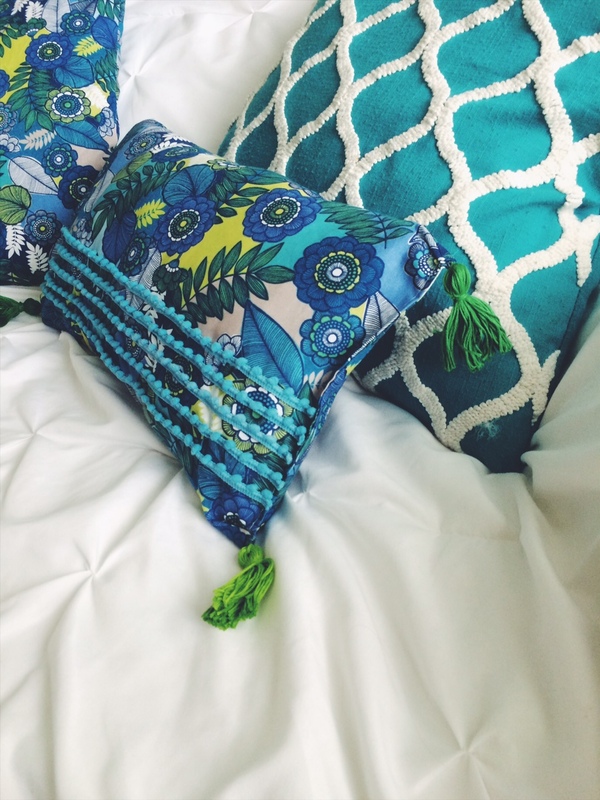 I was inspired by these anthropologie pillows and fell in love with their eclectic details and worldly colors. 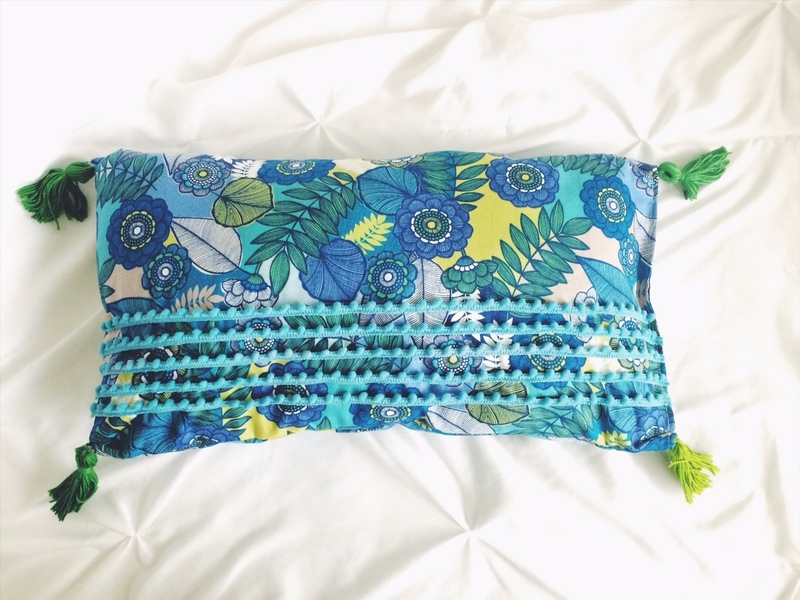 I love mostly everything curated by anthropologie and so, I wanted to try my own DIY pillow inspired by their eye candy. 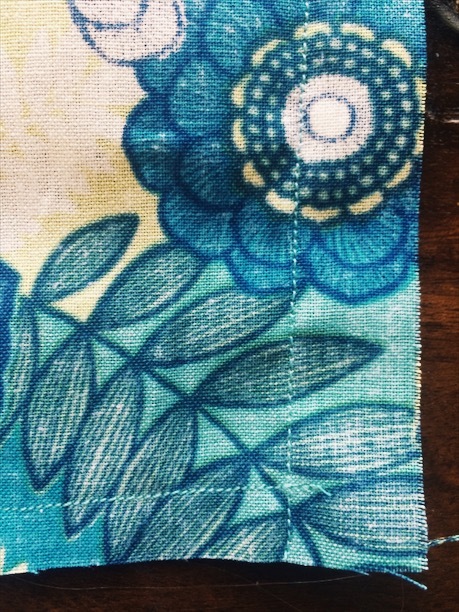 So I started out selecting some beautiful fabric, I just loved this blue print, I like bright, eye-catching prints on fabric. 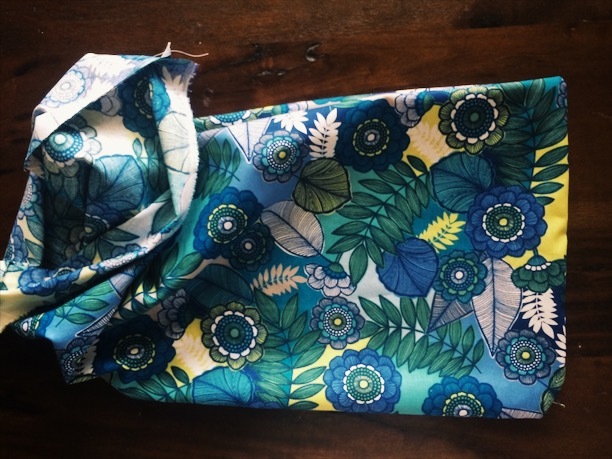 This fabric made the perfect contrast to the ikat patterned pillows I already have in my living room and so I basically just dove in and bought a yard and a half. In my garage, I had a few old throw pillows that I had paid quite a lot for about five years ago that we weren’t using anymore. 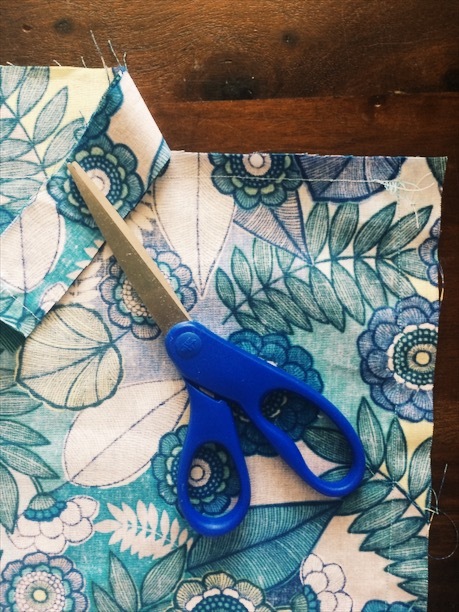 I grabbed those pillows and cut my fabric in the same shape but slightly larger than the original pillows, approximately 3″ larger on each side, to account for the stuffing. I now had one DIY pillow and went forward to make three total, two square and one rectangle. The small rectangle pillow is the pillow I have detailed out this week using hot glue! At the store, I purchased a 3 yard spool of trim in a blue color that pulled from the color palette of the blue fabric. 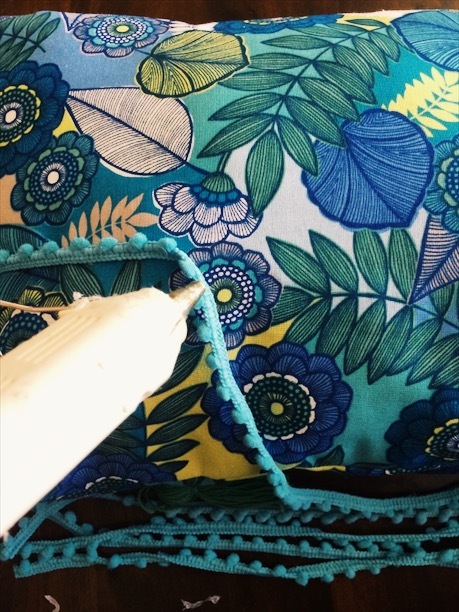 Detailing this pillow has been a lot of fun, I’ve learned a few new things and took a few risks to make an eclectic pillow of my own. 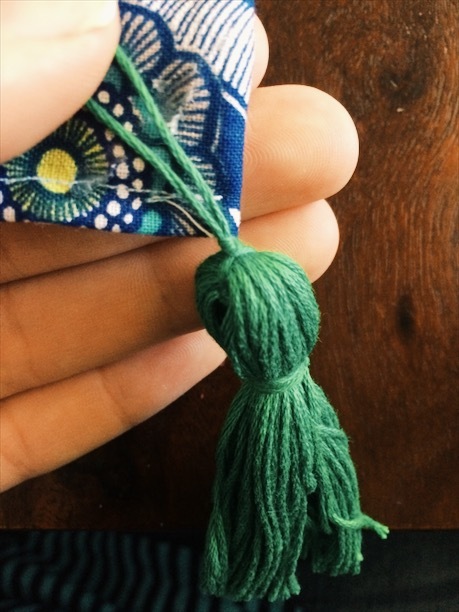 I first made a total of four tassels out of embroidery thread I had leftover in my garage. I used monochrome green colors but didn’t worry about them being the exact same shade of green. I actually like the way they are a little off from each other. 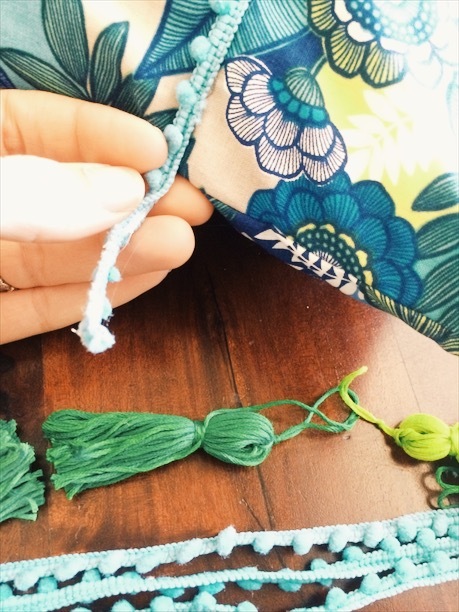 Making tassels proved to be super-easy, I followed this tutorial and used embroidery thread in shades of green. I then cut my spool of trim into five strips the width of the pillow. I slowly hot glued each one, small pieces at a time into a straight line across the bottom of the pillow. After the glue dried, I snipped each end to size and checked for any loose spots, I then re-glued anything that didn’t seem secure. So far, the glue seems to be holding up brilliantly! The pillows are now softly decorating our couch and even the kids have been cuddling with them. 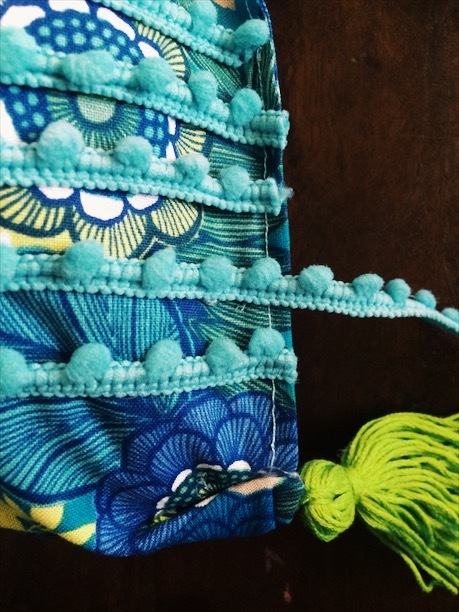 I love them because they give just the sort of artsy, anthropologie style I absolutely love! 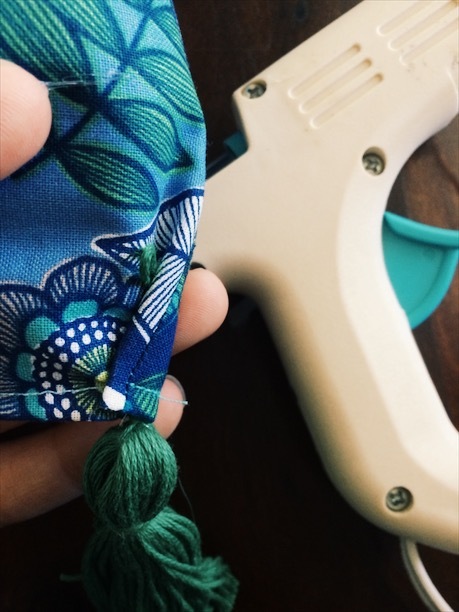 So there you have it, you can hot glue onto a pillow if you aren’t in the mood for hand-stitching at night like I did with those first thirty pillows! Don’t forget to pin this project and check back for more DIY, kids crafts and art lessons!